GREW UP IN GREENVILLE WHERE SHE WAS A STAR FOR BOTH THE GREENVILLE HIGH SCHOOL AND CHRIST CHURCH SCHOOL TENNIS TEAMS, LEADING BOTH TO SEVERAL STATE CHAMPIONSHIPS. SHE HAD AN OUTSTANING JUNIOR CAREER. SHE WAS CONSISTENTLY RANKED NUMBER ONE IN HER AGE DIVISION IN THE STATE BETWEEN 1968 & 1973. 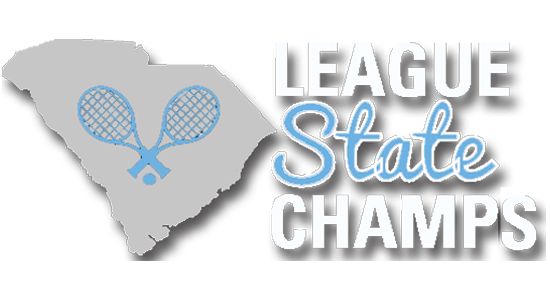 SHE WON SIX SINGLES AND TWO DOUBLES TITLES AT THE PALMETTO CHAMPIONSHIPS AS WELL AS NUMBEROUS STATE CLOSED TITLES. SHE CAPPED HER JUNIOR CAREER AS THE #1 RANKED GIRL’S 18 AND UNDER IN THE SOUTH IN 1972. SHE ATTENDED ROLLINS COLLEGE IN WINTER PARK, FLORIDA WHERE SHE CONTINUED HER TENNIS ACCOMPLISHMENTS. SHE WON THE SOUTHERN COLLEGIATE SPORTSMANSHIP AWARD FOR THREE YEARS BETWEEN 1974 & 1976 AND WAS NAMED ALL-AMERICAN IN 1976&1977. DURING HER SENIOR YEAR SHE WAS NAMED TEAM CAPTAIN AND SCHOLAR ATHELETE OF THE YEAR. WHILE AT ROLLINS, SHE WAS NAMED TO THE USTA JINIOR WIGHTMAN CUP TEAM IN 1974 AND THE USTA JUNIOR FEDERATION CUP TEAM IN BOTH 1976 & 1977. 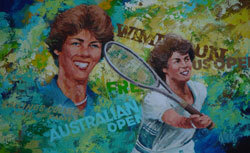 SHE CONTINUED TO PLAY IN NATIONAL TOURNAMENTS AND WON THE USTA NATIONAL AMATEUR CLAY COURT DOUBLES CHAMPIONSHIP IN 1976. SHE WAS RANKED #1 IN THE SOUTH IN WOMEN’S SINGLES & DOUBLES IN 1976. SHE TURNED PROFESSIONAL IN JUNE, 1977 AFTER GRADUATING FROM COLLEGE. SHE PLAYED BOTH THE UNITED STATES AND OVERSEAS CIRCUITS. DURING HER PROFESSINAL CAREER SHE PLAYED IN ALL FOUR GRAND SLAM EVENTS, WIMBLEDON (5 YEARS), U.S. OPEN (5 YEARS), FRENCH OPEN (2 YEARS) AND AUSTRALIAN OPEN (2 YEARS). DURING THIS TIME, SHE EARNED A RANKING AS HIGH AS #53 IN THE WORLD. HER PEERS ELECTED HER TO THE WOMEN’S INTERNATIONAL TENNIS ASSOCIATION (WITA) BOARD OF DIRECTORS IN 1982 AND SERVED THROUGH 1986. DURING THIS TIME SHE WAS NAMED THE CHARIMAN OF THE TOURNAMENT COMMITTEE FOR WITA AND WAS VOTED THE WINNER OF THE KAREN KRANTZCKE SPORTSMANSHIP AWARD IN 1982. SHE RETURNED TO GREENVILLE IN 1984 AND EARNED HER UPSTR TEACHING PROFESSIONAL CERTIFICATION AND WAS NAMED TENNIS PROFESSIONAL AT GREENVILLE COUNTRY CLUB. SHE BECAME ACTIVE IN THE NEWLY FORMED SOUTH CAROLINA PROFESSIONAL’S TENNIS ASSOCIATION AND SERVED AS THAT ORGANIZATIONS FIRST SECRETARY IN 1985. SHE SERVED AS COACH OF THE U.S. JUNIOR WIMBLEDON TEAM AS WELL AS ASSISTANT COACH OF THE JUNIOR U.S. OPEN TEAM IN 1985. SHE CONTINUED AS TENNIS PROFESSIONAL AT GREENVILLE COUNTRY CLUB THROUGH MAY 1988, WHEN SHE RESIGNED TO START A FAMILY. LATER THAT SAME YEAR SHE WAS INDUCTED INTO THE ROLLINS COLLEGE SPORTS HALL OF FAME.